Based on true events Foxcatcher (Cert 15A) tells the dark and fascinating story of the unlikely and ultimately tragic relationship between an eccentric multi-millionaire and two champion wrestlers. When Olympic Gold Medal winning wrestler Mark Schultz (Channing Tatum) is invited by wealthy heir John du Pont (Steve Carell) to move on to the du Pont estate and help form a team to train for the 1988 Seoul Olympics at his new state-of-the-art training facility, Schultz jumps at the opportunity, hoping to focus on his training and finally step out of the shadow of his revered brother Dave (Mark Ruffalo). 40 years since the terrifying events at Eel Marsh House, the building stands, rotten and dilapidated, outside the deserted village of Crythin Gifford. 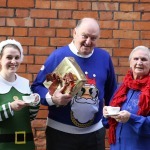 This Christmas Season, ten Dublin restaurants are supporting ALONE, the charity that cares for older people in need. 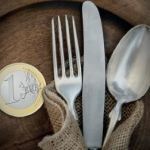 Diners at the restaurants are being encouraged to make a €1 voluntary donation to ALONE when paying their bill up until the 31st December. This festive season Monica Loughman Ballet presents the ultimate Christmas ballet, The Nutcracker, with performances on the 20th and 21st December at the Convention Centre Dublin. LivingSocial.com are offering a range of exclusive discounted tickets for the show. ALONE, the charity that supports older people in need, has launched their Christmas campaign highlighting the isolation and loneliness of older people around Christmastime. At the launch of the campaign ALONE called on members of the public to reach out to older members of their community who may be isolated or lonely this holiday season. 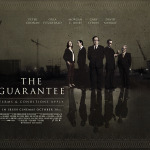 The Guarantee, the much talked about feature film recreating the events that led up to the bank guarantee on 29th September 2008, will be available to buy on DVD from Friday 28th November in retailers nationwide, including Tesco, SuperValu, HMV, Tower Records, Golden Discs and Xtravision, and can be bought online via The Guarantee movie website (www.theguaranteemovie.com) and on Amazon. The DVD includes bonuses comprising of exclusive interviews with the cast, writer and director and also behind the scenes footage of the making of the film, following it from conception to production. Details have been announced for the second annual Irish VFX & Animation Summit, where award-winning international visual effects practitioners from the US, the UK and Ireland will take part in workshops and talks. Following on from last year’s massively successful inaugural summit, this year’s event will span three days and will celebrate the amazing world of Visual Effects and animation, with film screenings, talks, workshops, master-classes, discussion panels and Q&As with award-winning VFX and animation professionals including cutting edge talent from both Ireland and around the world. Advance ticket sales for the two day event are now open, with demand expected to be significant. Mary Bee Cuddy (Hilary Swank) is an independent resourceful frontier woman, conditioned to living a life of solitude and hard work in America’s West in the 1850s. Lonely and isolated, when the preacher (John Lithgow) breaks the news that three local women have been declared insane and are to be transported across the barren country to a safe haven, Mary Bee volunteers for the dangerous and arduous task of leading them to Ohio. Crews armed with fast cars, video cameras and police scanners prowl LA at night looking for crashes, violence and mayhem in order to supply the exclusive footage to TV networks. Lou’s (Jake Gyllenhaal) drive to succeed as a nightcrawler at any cost pushes him to the limits of the law and forces morality aside in what becomes an increasingly sinister and dangerous game. Calling all top-dogs and curious cats, a little birdie told us that Smithfield Square is going to be transformed into a Pet Paradise! 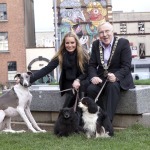 The first ever Pets in the City brought to you by Dublin City Council and supported by the DSPCA and King of Paws, will take place on Sunday 9th November in Smithfield Square, Dublin 7.